The GMEI utility is the largest Global Legal Entity Identifier Foundation (GLEIF) accredited LEI issuer, representing approximately 40% of the total LEIs issued worldwide, and has issued LEIs to entities from over 200 jurisdictions across the globe. 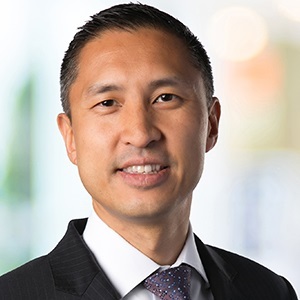 DTCC Connection sat down with DTCC’s Eugene Ing, Executive Director, GMEI Product Management, to update us on how the GMEI utility is helping its clients prepare for the upcoming MiFID II regulation. Connection: How is the GMEI utility ensuring that they can issue all necessary LEIs in the run up to MiFID II going into effect next month? Ing: Our previous planning for an uptick of LEIs ahead of the EMIR November 1st deadline has allowed the GMEI utility to be well positioned to ensure that all necessary LEIs can be processed in the run up to MiFID II. We have greatly increased our operations staff to broaden our processing bandwidth and recently launched a same day LEI service which will help to facilitate LEI issuance for users that are tight on time. We always encourage users to set up their LEIs as early as possible, but in the event that a rush LEI is necessary we are able to shorten the turnaround time to 5 PM GMT same day, as long as the request is in by 10 AM GMT. We have also lowered our European pricing across the board to help clients with the increased demand. Connection: How can firms ensure their clients, counterparties and issuers obtain the required LEIs? Ing: Unfortunately, firms can’t always ensure that their clients and counterparties are obtaining the required LEIs and in a timely fashion. However, firms can, and should, ensure that their clients are properly educated on the MiFID II and the fact that the regulation extends to all asset classes and is inclusive of non-EU firms if they transact with an EU financial services provider. There is currently a huge amount of regulatory guidance that firms can point their clients to get more information including the GLIEF website and the newly launched page www.gmeiutility.org/mifid2. Connection: What should firms do about lapsed LEIs? Will they be acceptable for MiFID II reporting? How best can they be renewed? Ing: It is critical that firms understand their regulatory reporting needs and impact when it comes to maintaining their LEIs. The current regulatory regime is moving towards a broad non-acceptance of lapsed LEIs, for example, as of November 1, 2017, EMIR no longer accepts lapsed LEIs for trade reporting in addition to the pure expanse for the need with MiFID II. The renewal process is very straightforward, GMEI utility clients receive notifications ahead of and after their renewal date. The client would then go to the www.gmeiutility.org and follow the on screen renewal prompts. For users with LEIs that are managed with another Local Operating Unit (LOU), who want to maintain their LEIs with the GMEI utility, there is a process called “transfer” where users can literally transfer their LEIs over to the GMEI utility free of charge and renew them through us. Connection: Have there been any accuracy issues with LEIs and, if so, how are these best resolved? Ing:The GMEI utility platform and data standards are constantly changing and evolving. If entities undergo a corporate action or if they discern a change in counterparty information, there is a free-to-use process called “challenge”, which can be accessed either through the GLIEF website or the GMEI website, for records managed through the GMEI utility. Users would select the record they would want to challenge and input the requested changes, the LEI would then go through a full re-validation process against a variety of authoritative sources to ensure that it contains the most up-to-date, accurate data. Connection: Where can I learn more about the GMEI utility and MiFID II? *Business Entity Data (BED) B.V., a wholly-owned subsidiary of DTCC, owns and operates the GMEI utility legal entity identifier (LEI) services within the federated Global LEI System (GLEIS).